1 Bedroom Apartment To Rent in Tonbridge for £995 per Calendar Month. 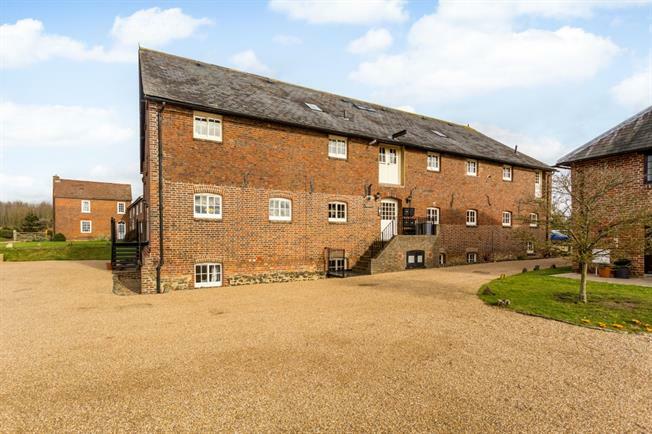 This unique one bedroom loft style apartment is situated within a beautiful grade II listed farm development in popular Hadlow. The property is situated on the top floor of the building and enjoys many unusual and interesting features such as vaulted ceilings, a wealth of exposed timbers and far reaching countryside views. The property has a hallway with a cloakroom and access to the fitted kitchen with white goods and storage cupboard. The main reception room is separated by beams into three areas which are currently used a dining room, sitting room and study. A ladder provides access to a tucked away mezzanine floor with built in bookshelves. The double bedroom has direct access into the en suite bathroom with shower over the bath. The apartment has a private parking space as well as access to a communal barbeque area with pond.